Whoa. Whoa. 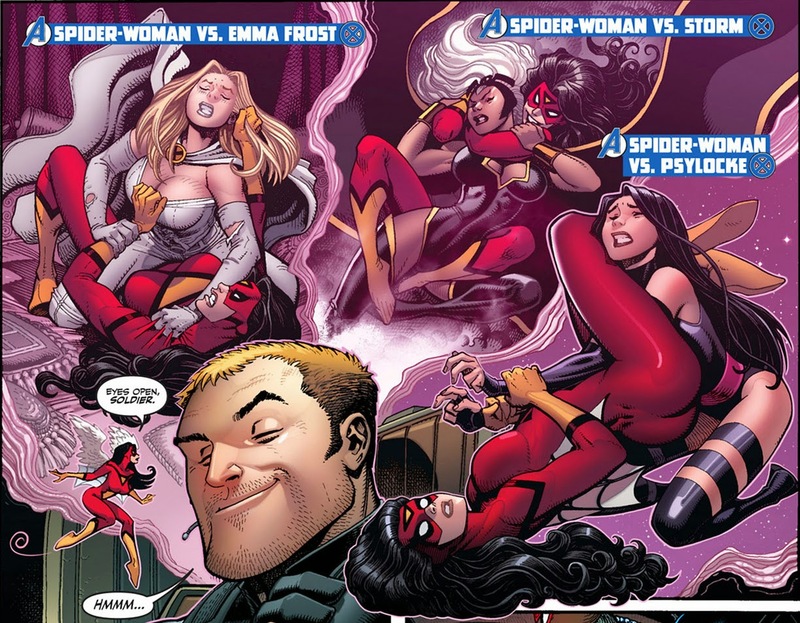 Psylcoke VS Spider-Woman?! Those give me ideas and thoughts.............. Fan fiction anyone?! But yeah. Probably one of the good things that came out of AvsX really. Love that shot with Jessica and Betsy. Okay. Time to get some sleep.